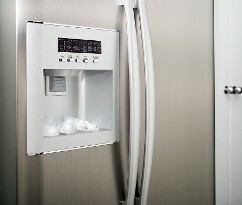 Appliance repair is a vital component of home maintenance. Lake of the Ozarks Appliance Service, LLC performs prompt and thorough repairs that stay on your time and budget. Our faithful technician travels throughout Lake of the Ozarks, MO area and the surrounding area to resolve all your appliance troubles. Whether through an email or phone call, our company responds to any appliance emergency during normal business hours. Simply describe your problem, and our trained technician will come directly to your home to address your issue. After diagnosing the broken appliance, our technician gives you an estimate on the procedures, parts, and cost required to complete the repair. As a result, our service doesn't come with any surprises. You know exactly what you are getting and for how much. Entering a job with all the necessary materials saves time, money, and a lot of frustration. For this reason, Lake of the Ozarks Appliance Service, LLC is equipped with most parts in stock and on-hand for same-day service and repair. However, there are times when parts are not in stock-and even then, that is not a problem. Thanks to our great, longstanding relationships with our distributors all over the United States, we have next-day delivery on most parts needed for all your repairs. As a result, your appliances are up and running as soon as possible. Contact our appliance repair company at (573) 348-2130 in Lake Ozark, Missouri, to learn how to simplify your home maintenance issues.